The UIDAI app will allow users to carry their Aadhaar information on their smartphones, however the app is currently in its beta phase, and some features will be made via future updates. No iOS Aadhaar app has been talked about so far. 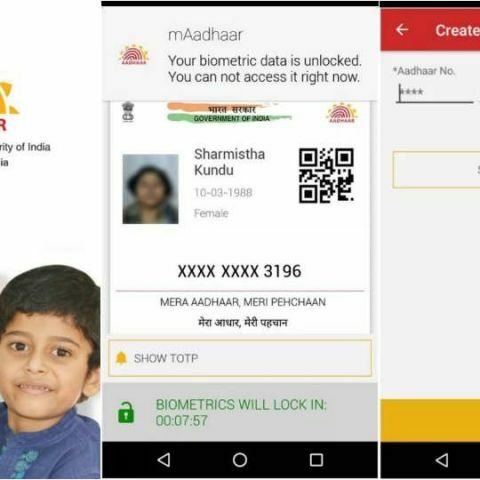 The Unique Identification Authority of India (UIDAI) has launched new app for Android called mAadhaar. The mobile Aadhaar app lets users carry their Aadhaar information such as name, date of birth, gender, address as well as the photos linking to their Aadhaar card on their smartphones, making it easily accessible when needed. The app is currently only available for Android devices and is available via the Play Store. There is no information on an iOS Aadhaar app so far. For added security, the mAadhaar app also comes with biometric locking/unlocking that should keep users' personal information safe. There is only a Time-based One-Time Password system (TOTP) that can be used to create a temporary password, which can be used in place of a traditional SMS-based OTP. Users will also see their updated profile after they have successfully filed an update request. They can also share QR codes and password protected eKYC data to retrieve information. UIDAI has noted that the app is currently in beta, and some of the features will be made available in the future via updates. It seems like Aadhaar is well on its way to becoming a common method of verifying identity across the entire country. Earlier this month, Microsoft announced that it was integrating Aadhaar into Skype Lite. The aim was to bring identity verification services to its messaging and video calling platform. Either party can now request Aadhaar verification and to confirm their identity, users will have to enter their 12-digit Aadhaar number and authenticate via a one-time password. Microsoft notes that this would help prevent impersonation fraud.